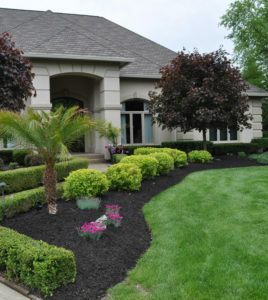 1-2″ Wood Fiber Mulch that is generously dyed with a long lasting color retaining dye. 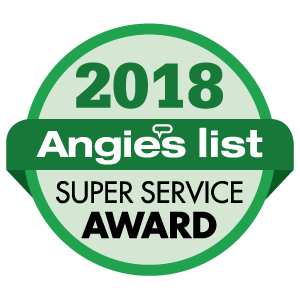 Using “Color-Safe Technology” these dyes are not threatening or hazardous in any way to shrubs, plants, pets, or children and generally retain their color for much longer than natural mulches. 2 cu. ft. bag–$3.85 ea. Or Full Pallet (52 bags)–$3.25 ea. 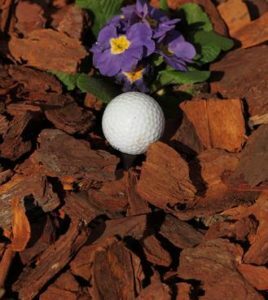 **Dyed mulches contain dye/color additives that need a certain amount of “drying” time after install ation & before a rain or watering. Please allow 24-48 hours for curing or drying after mulch installation to assure no runoff or discoloring. Also, please do not dump or store dyed mulches on concrete surfaces due to the potential for permanent staining. Natural pine nuggets, about 1½”-2½”, that are good for use in landscape beds, walkways and paths. They help prevent weed growth, help retain moisture and insulate soil to protect roots in cold weather. 2 cu. ft. bag–$4.95 ea. or Full Pallet (68 bags)–$4.50 ea. Per 2 cubic foot bag. Perfectly screened from our Premium Hardwood Mulch which in turn sizes the smaller particles into a “fines” size mulch. Rich dark chocolate brown in color, composts quickly to make an excellent soil amendment. Comparable in size and consistency to coffee grounds. 2 cu. ft. bag–$3.85 ea. Or Full Pallet (52 bags)–$3.25 ea. Weed free straw with poly netting. This black fabric allows water and nutrients to get to the roots of plants while keeping out weeds.